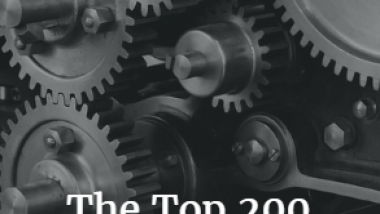 For more book printer listings, see https://bookmarketingbestsellers.com/the-top-200-book-printers-h-to-n.
Action Printing, Adam Kempf, Account Manager, N6637 Rolling Meadows Drive, Fond du Lac WI 54937-9989; 920-907-7809; 800-472-0337; Fax: 920-907-7996. Email: akempf@actionprinting.com. Web: http://www.actionprinting.com. Printers of magazines, catalogs, publications, and directories. 6% of their business is printing books, 20% printing directories. Quantities from 100 to 100,000. Perfect binding, saddle stitching, and more. Alexander’s Print Advantage, Gwen Gades, 245 South 1060 West, Lindon UT 84042; 801-224-8666; 800-574-8666; Fax: 801-224-0446. Email: gweng@alexanders.com. Web: http://www.alexanders.com. Offset and digital book printing and commercial printing, B&W and color. Alleluia Print Services, Aldrin Roy, India. Email: customerservice@alleluiaprints.com. Web: http://www.alleluiaprints.com. Based in India, this company prints booklets and books, saddle-stitched and perfect-bound, at cheap prices. They offer special prices for printing of Christian material. Amica Inc., A Junejo, Marketing Director, 19625 62nd Avenue South #C-103, Kent WA 98032; 253-872-9600; 800-622-9256; Fax: 253-872-7414. Email: ajunejo@amicainc.com. Web: http://www.amicaint.com. Offers sheet-fed printing of full-color art books, coffee-table books, 500+ page academic textbooks as well as catalogs, calendars, greeting cards, posters, and magazines. CD and DVD replication and insertion also available as well as other handwork. 4-week turnaround time from approval of proofs to delivery to your warehouse (printing is done overseas). AncoPrint, Anthony de Vries, 15/5 Wakefield Street, PO Box 30408, Lower Hutt 5040 New Zealand; 04-566-1700; Fax: 04-566-1711; Cell: 027-315-6053. Email: anthony@ancoprint.co.nz. Web: http://www.ancoprint.co.nz. Book printers for the New Zealand market. Angel Printing, Scott “Sid” Serna, CEO, 3614 Ocean Ranch Boulevard, Oceanside CA 92056; 760-967-0492; Fax: 760-967-0495. Email: scott@angelprint.com. Web: http://www.angelprint.com. “We offer 1 to full color offset and digital printing services. In-house we produce short run book printing, and work with web-printing facilities to produce large book printing orders.” Also printing on recycled papers with soy-based inks. Apex Book Manufacturing, Omid Meradji, Sales Manager, 1252 Old Alpharetta Road, Alpharetta GA 30005; 470-239-8552; Fax: 888-564-7890. Email: omeradji@apexbm.com. Web: http://www.apexbm.com. Founded in 2007, this book printer offers various binding styles: casebound, perfect bound, spiralbound, or saddlestich. Art Bookbindery, Michael Schacht, 550-70 Arthur Street, Winnipeg, Manitoba R3B 1G7 Canada; 204-944-1000; 866-944-2999. Email: michael@artbookbindery.com. Web: http://www.artbookbindery.com. Specialize in high-quality printing, binding (hardcover or paperback), page layout, and professional cover design. Artigrafiche Bocciaspa; Italy; 39-89-303311; Fax: 39-89-771017. Email: info@artigraficheboccia.com. Web: http://www.artigraficheboccia.com. Full-color books. Artron Art Company, Maxine Peng, No. 19, Shenyun Road, Nanshan District, Shenzhen, China 518053; 86-755-8608-3010; Cell: 86-137-9841-3643. Email: maxine_peng@artron.net. Web: http://en.artron.com.cn. A high-end book printer of full-color art books and other books. Asia Pacific Offset, 255 Lafayette Street #703, New York NY 10012; 212-941-8300; 800-756-6857; Fax: 212-941-9810. 21 Columbus Avenue #231, San Francisco CA 94111; 415-433-3488; 800-756-2309; Fax: 415-433-3489. 1312 Q Street NW #B, Washington DC 20009; 202-462-5436; Fax: 202-986-4030; email: andrew@asiapacificoffset.com. Web: http://www.asiapacificoffset.com. Print brokers for 20 of the best color separators and printers in Hong Kong and China. Specializes in full-color printing. Automated Graphic Systems, 4590 Graphics Drive, White Plains MD 20695; 301-843-6339; 800-678-8760; Fax: 301-843-6339. Email: info@ags.com. Web: http://www.ags.com. Ohio Office: 8107 Bavaria Road, Macedonia OH 44056; 330-963-7770; 800-362-6134; Fax: 330-963-7771. Owned by Consolidated Graphics. Provides CD-ROM and Internet production, prepress, sheet-fed, web, and digital printing, binding, mailing, and storage & fulfillment. Bang Printing, Christopher Kurtzman, Executive Vice President, 1473 Highway 18 E, PO Box 587, Brainerd MN 56401; 218-829-2877; 800-328-0450; Fax: 218-829-7145. Email: chrisk@twwn.comor info@bangprinting.com. Web: http://www.bangprinting.com. Kay Blausen: 218-822-2111. Founded in 1899. BCP Prints Books, 3921 Vero Road #F, Baltimore MD 21227; 410-242-6954; 800-476-8870; Fax: 410-242-6959. Email: bcpdigital@yahoo.com. Web: http://www.agooddaytoprint.com. The book printing division of Black Classic Press. Berryville Graphics, Tim Thompson, 25 Jack Enders Boulevard, Berryville VA 22611; 540-955-9439. Email: tim.thompson@bvgraphics.com. Web: http://www.beprintersamerica.com. 95% of their business is printing books. Donald Blyler Offset, 1621 Willow Street, Lebanon PA 17042; 717-272-5656; 888-DBO-5656; Fax: 717-272-6263. Email: info@dboprinting.com. Web: http://www.dboprinting.com. 10% of their business is in printing books and directories. BookFactory, Andrew Gilmore, President, 2302 S Edwin C Moses Boulevard, Dayton OH 45417; 937-226-7100; 877-431-2665; Fax: 614-388-5635. Email: sales@bookfactory.com. Web: http://www.bookfactory.com. Short-run, library-quality, smyth-sewn books in quantities as little as 15. Specializes in blank books, journals, lab notebooks, log books, engineering notebooks, banded journals, wire-o notebooks. BookMasters, 30 Amberwood Parkway, Ashland OH 44805; 419-281-5100; 800-537-6727; Fax: 419-281-0200. Email: info@bookmasters.com. Web: http://www.bookmasters.com. Offers prepress, printing, storage, fulfillment, and Internet sales. 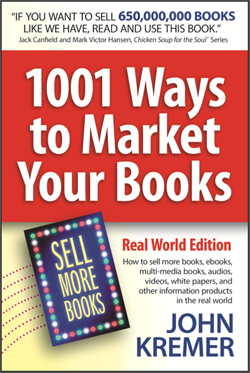 “BookMasters caters to the small and independent publishers, but also services customers such as McGraw Hill, Southwestern Pub., and Pearson Education. It provides everything from design, copy editing, indexing/permissions, typesetting, printing/binding, to full service order taking and storage.” They now also offer full-color printing inside the book, even in short runs. BookMobile, Nicole Baxter, Manager of Marketing & Book Printing Services, 5120 Cedar Lake Road, Minneapolis MN 55416; 844-488-4477. Email: nbaxter@bookmobile.com. Web: http://www.bookmobile.com. Digital printing of books at near offset quality. They work with publishers with a publishing program; they refer authors and self-publishers to other companies. Book Producers Group, Linda Seaman, 466 N Pine Street, Grand Junction MI 49056. 269-427-5670; 888-427-5670; Fax: 269-427-5670. Email: linda-seaman@btc-bci.com. Web: http://www.thebookproducers.com. Printing plant in Dallas, Texas. BR Printers, Wade Walker, Sales Manager, 665 Lenfest Road, San Jose CA 95133; 408-278-7711; Cell: 916-912-5042. Email: wade@brprinters.com. Web: http://www.brprinters.com. They specialize in short and mid-size book runs, either perfect bound or case bound. Also comics, manuals, and journals. They do traditional print on demand with an HP-T230 webfed inkjet press. The have production facilities in California and Kentucky. Bridgeport National Bindery, Bruce Jacobson, Executive Vice President, 662 Silver Street, PO Box 289, Agawam MA 01001-0289; 800-223-5083. Email: brucej@bnbindery.com. Web: http://www.bnbindery.com. Produce digitally-printed casebound books. They print from one copy to several hundred to a thousand. Burnett Print Group, Marcia Mosko, 2600 W Olive Avenue, 5th Floor, Burbank CA 91505; 818-653-5118; Fax: 818-668-0113. Email: marcia@burnettprintgroup.com. Web: http://www.burnettprintgroup.com. Specializes in self-published books in quantities from 500 to 20,000, perfect bound and case bound. Categories include art, photography, business, autobiography, biography, etc. She works closely with the author in deciding on the style of the book. Butler & Tanner, Jeremy Snell, New York Office, 1776 Broadway #1710, New York NY 10019; 212-262-4753; Fax: 212-262-4779. This English printer specializes in high quality sheet-fed color printing. Production plant: Selwood Printing Works, Caxton Road, Frome, Somerset, BA11 1NF United Kingdom; 011-44-1373-451500; Fax: 011-44-1373-451333. C&C Offset Printing, Charlie Clark, Director, 2632 SE 25th Street (97202), PO Box 82037, Portland OR 97282-0037; 503-233-1834; Fax: 503-233-7815. Email: PortlandInfo@ccoffset.com. Web: http://www.ccoffset.com. 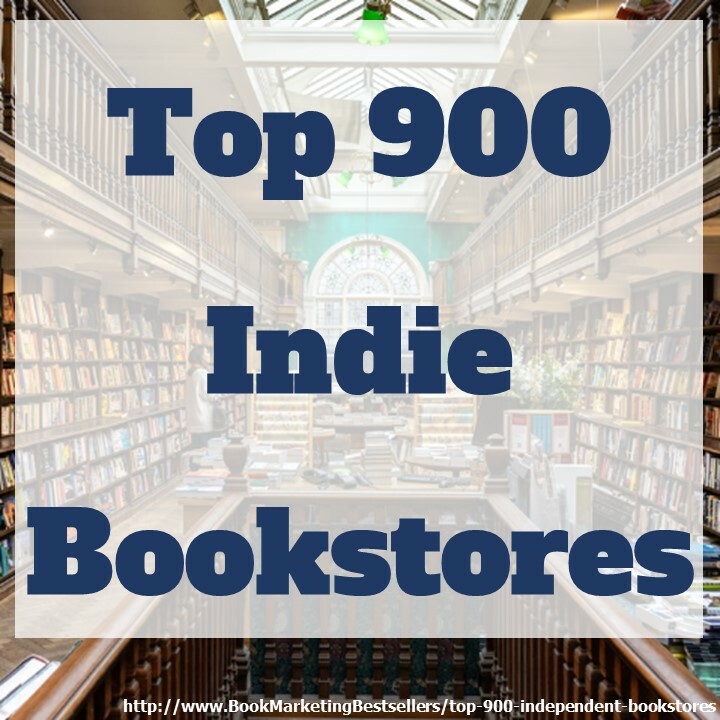 80% of their business is books, with fine art books a specialty. Their main printing plants are in Hong Kong, China, and Japan. Carvajal International, 901 Ponce De Leon Boulevard #901, Coral Gables FL 33134; 305-448-6875; 800-622-6657; Fax: 305-448-9942. The U.S. office for a Columbian book printer specializing in full-color and cut-out books. Cedar Graphics, Justin McDonald, Marketing Solutions Manager, 311 Parsons Drive, Hiawatha IA 52233-1458; 319-395-6900; 800-393-2399. Email: jmcdonald@cedargraphicsinc.com. Web: http://www.cedargraphicsinc.com. A full service sheetfed offset printer with presses from 2 to 10 colors. They offer a full service bindery, fulfillment services for easy national distribution, and on-demand printing and ordering for smaller publishers. They print catalogs, books, and directories. They recently bought Brandt Doubleday. Cenveo, Chris Burk, 1130 Silber Road, Houston TX 77055; 713-357-0209; Cell: 832-545-8676. Email: chris.burk@cenveo.com. Web: http://www.cenveo.com. They print via DocuTech, sheet-fed, and web presses. Formerly known as Champagne Fine Press. China Gold Printing, 2510 Pengji SchangwuShiKong Floor Building, bagua 34d Raod, Futian Shenzhen, Guangdong, China; 86-755-22200542; Fax: 86-755-22200413. Email: info@goldprinting.cc. Web: http://www.goldprinting.cc. Prints books, brochures, magazines, packaging boxes, calendars, and more. Also pop-up books and 3d puzzles. CJK USA, 3962 Virginia Avenue, Cincinnati OH 45227; 513-271-6035; 800-598-7808; Fax: 513-271-6082. Since 1872. Web: http://www.cjkusa.com. Formerly known as C.J. Krehbiel. Prints books, catalogs, magazines, manuals, and specialty products with in-line finishing. Codra Enterprises, Cindy Chang, Sales Manager, 15262 Pipeline Lane, Huntington Beach CA 92649; 714-891-5652; Fax: 714-891-5642. Email: codra@codra.com. Web: http://www.codra.com. Provides off-shore printing services to many publishers for Bibles, calendars, brochures, catalogs, children’s books, travel guides, and gift items. ColorPage, Frank Campagna, Vice President of Sales, 71 Tenbroeck Avenue, Kingston NY 12401; 845-331-7581; 800-836-7581; Fax: 845-331-1571. Email: frank@colorpageonline.com. Web: http://www.colorpageonline.com. Their digital process assures proper paper grain direction in every book. Offers instant online pricing. Can do full-color books, in part or in whole. Colorist Akademi Printhouse, Kağan Sütçü, Yeşilce Mah. Yılmaz Sok., No:3 Seyrantepe 34418, 4.Levent / Kağıthane, İstanbul, Turkey; 90-212-270-78-78; Fax: 90-212-270-27-00. Email: kagan@coloristakademi.com. Web: http://www.akademimatbaa.com. Offers offset printing of books, magazines, posters, boxes, packages, etc. Corporate Color Printing, Mike Fredericks, President, 1701 E Edinger Avenue #B1+2, Santa Ana CA 92705; 714-434-9322 or 714-798-2388. Email: mike@4printing.net or sales@4printing.net. Web: http://www.4printing.net. They specialize in short-run (1,500 copies or less) of books in the following bindings: perfectbound, coilbound, or wirebound. They also print mailers, folders, catalogs, newsletters, brochures, letterhead, postcards, and business cards. They offer fast turnaround on most jobs and free shipping in Orange County. The Country Press, Michael Pinto, 1 Commercial Drive, Lakeville MA 02347; PO Box 489, Middleborough MA 02346; 508-947-4485; Fax: 508-947-8989. Email: info@countrypressinc.com. Web: http://www.countrypressinc.com. Specializes in bound galley copies, short-run books, digital printing (POD). Cummings, 4 Peters Brook Drive, P O Box 16495, Hooksett NH 03106-6495; 603-625-6901; 800-647-0035; Fax: 603-623-5123. Email: info@cummingsprinting.com. Web: http://www.cummingsprinting.com. Since 1914, a family-run printer of magazines, journals, guidebooks, catalogs, and more. Dekker Bookbinding, Chris Dekker, Vice President, 2941 Clydon Avenue SW, Grand Rapids MI 49519; 616-538-5160; Fax: 616-538-0720. Email: chrisd@dekkerbook.com. Web: http://www.dekkerbook.com. One of the largest bookbinders in the U.S., Dekker has been doing business for 88 years with some of the largest book printers. They specialize in all types of case binding, but also do perfect binding. Digital Marketing Technologies, aka DMT Publishing, Mark Manswer, Vice President, 900 North 400 West #12, North Salt Lake City UT 84054; 801-397-1826. Email: mark@dmtpublishing.com. Web: http://www.dmtpublishing.com. In business since 1996 with full bindery capabilities and Heidelberg laser printers that can produce 50,000 copies per hour. Fast turnaround times. Documation LLC, Roy Fuerstenberg, President, 1556 International Drive, Eau Claire WI 54701; 715-839-8899; 800-951-6729; Fax: 715-836-7411. Web: http://www.documation.com. 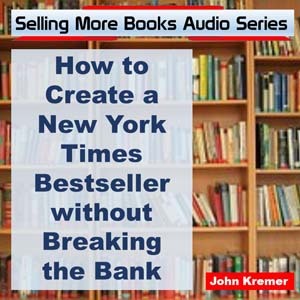 They produce books on demand (from one at a time) to runs up to 25,000 copies. They provide perfect binding, plastic coil or wire-o, saddle-stitch, or ring binders. Dominie Press Singapore, 1200 Depot Road, Telok Blangah Industrial Estate, 01-21/27, Singapore 109675. Tel: +65 6273 0755; Fax: +65 6273 0060; Email: info@dominie.com.sg. Web: http://www.dominie.com.sg. Linda Winters, U.S. sales representative, 424 Washington Street, El Segundo CA 90245; 310-980-9335. Email: linwinters@aol.com. Produces high-quality coffee-table books, limp cover books, corporate brochures, art and photography catalogs, magazines and annual reports. Also promotional items such as wall and desk calendars, posters, fliers and point of purchase materials. Eagle Press, Oscar Vidal Jr., President, 2538 Tequesta Lane, Miami FL 33133; 786-521-7211. Email: oscarjr@eaglelitho.com. Web: http://www.eaglelitho.com. Specializing since 1967 in printing books, hardbound or perfect bound, mini books, catalogs, and more. Graphic design available, CTP direct to plate, multi-color sheetfed printing and state of the art full web presses, complete bindery, direct mailing department, and fulfillment warehouse. ECPrinting, Jim House, 415 Galloway Street, Eau Claire WI 54703; 888-832-1135. Web: http://www.ecprinting.com. Since 1955, features short-run digital and offset printing. Edwards Brothers, Mark Livesay, National Sales Representative, 2500 S State Street, PO Box 1007, Ann Arbor MI 48106-1007; 734-769-1000; Fax: 734-769-0350. Email: mlivesay@edwardsbrothers.com. Web: http://www.edwardsbrothers.com. Plants in Michigan and North Carolina. A family-owned book manufacturer since 1893. They have four state-of-the-art manufacturing facilities and three digital printing service centers. Edwards Brothers Malloy, Bill Upton, Vice President, 5411 Jackson Road, PO Box 1124, Ann Arbor MI 48106-1124; 734-665-6113; 800-722-3231; Fax: 734-665-2326. Email: custservice@malloy.com. Web: http://www.malloy.com. Also has sales offices in Illinois, California, Washington, and New York. They publish a quarterly newsletter, the Malloy Quarterly. They offer RepKover lay-flat binding, bind-in CD-ROMs, precision spot gloss, and more. ESP Printing, Maynardo Espiritu Jr., Vice President, Manilla, Philippines. Email: esp.printers@pacific.net.ph. Specializes in printing Bibles and other thin-paper thick books. They also offer gold gilding and indexing. Faith Printing, James and JaNell Lyle, 880 S Main Street, Jacksonville IL 62650; 217-243-8880; Fax: 217-243-8881. Email: jlyle@faithprinting.net. Web: https://faithprinting.net/services/booklets-and-books. Focuses on Christian books and other printing services. Friesens Corporation, Friesens Book Division, One Printers Way, Altona Manitoba, Canada R0G 0B0; 204-324-6401; 888-324-9725; Fax: 204-324-1333. Email: book_info@friesens.com. Web: http://www.friesens.com. U.S. address: PO Box 7, Neche ND 58265. They have two book printing plants: one for school yearbooks, the other for trade books. 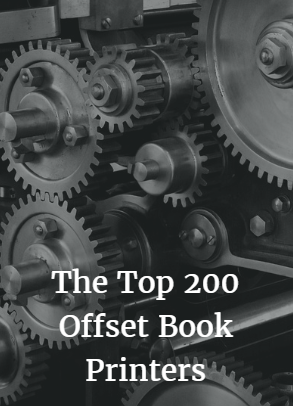 They are one of the top 30 book printers and one of the largest in Canada. Fry Communications, 800 W Church Road, Mechanicsburg PA 17055; 717-766-0211; 800-334-1429; Fax: 717-691-0341. Email: info@frycomm.com. Web: http://www.frycomm.com. 2% of their business is printing books, 10% printing directories. Higher quantities a specialty. Fuse Creates, Kevin Wright, President, 5981 Marion Drive, Denver CO 80216; 303-998-7502; Office: 303-443-1576; 800-824-5505; Fax: 303-998-7590. Email: info@fusecreates.com. Web: http://www.fusecreates.com. 30% of its business is in printing books and directories. Global Print Services, Eladio Robertson, CEO, 7701 SW 172 Street, Miami FL 33157; 786-242-5393; Fax: 786-573-2473. Email: eladio@globalprintservicesinc.com. Web: http://www.globalprintservicesinc.com. Janet Verdeguer, Business Development; 941-870-3422. Email: janet@globalprintservicesinc.com. Specializes in coffee table books (art, photography, cookbooks, children’s books, pop-up books, museum books, yearbooks, and more. Also design, photography, and epublishing services. Global Printing Sourcing and Development, Adrianne Casey, Sales Manager, San Francisco Office, 980 Lincoln Avenue #200 B, San Rafael CA 94901; 415-456-2934; Cell: 415-846-4515; Fax: 415-456-4124. Email: adrianne@globalpsd.com. Web: http://www.globalpsd.com. New York: 333 Hudson Street #1006, New York NY 10013; 212-627-1400; Fax: 212-254-5246. Overseas printing. Hong Kong: 852-3576-3239; Fax: 852-2310-8102. Gorham Printing, 3718 Mahoney Drive, Centralia WA 98531; 360-623-1323; 800-837-0970; Fax: 360-623-1325. Email: info@gorhamprinting.com. Web: http://www.gorhamprinting.com. Specializes in designing and printing self-published books (and ebooks). Quantities: 25 to 3,000 copies. Offers instant quotes and price charts.